My first three nonfiction books were published in 1994. Thirty-seven books and compilations later, I am still working to perfect my technique in order to write nonfiction books that sell. Like most authors, I have made mistakes along my path to make a solid living from my craft. Even so, after selling a couple hundred thousand books, I feel that my journey has provided ideas and techniques that are valuable for other nonfiction authors. 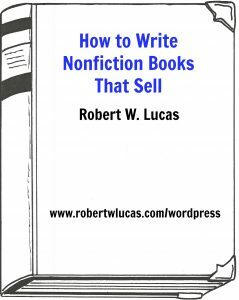 That is why I write this blog and I want to share tips on how to write nonfiction books that sell with you in this article. Let’s get started by examining the process that I use when I decide to create a new nonfiction book. You can use a similar approach in designing your own book writing plan. If you apply similar steps, you can write nonfiction books that sell on virtually any topic. Select a marketable topic. Often, nonfiction authors choose book topics on which they already have knowledge and expertise. The beauty of writing nonfiction books is that you can easily observe trends in society and the world to identify information and material that will interest readers. These observations lead to solid content for nonfiction books that sell. Before I get into the actual writing process for my books, I spend long hours conducting research on my desired subject area. I do quite a bit of research on the Internet or in books and articles, interview some other experts, and attend conferences where speakers address your subject matter and the ideas usually start flowing. The key is not to select a topic on which there is an abundance of material already available. When you begin your research, make sure that there are not competing books that take the same approach in addressing the topic that you plan to use. Also, ensure that your topic is viable and has large market potential through Google searches for the topic. You can also visit Amazon and other booksellers for titles on the subject and search newspapers, periodicals and articles on the Internet. Identify the reader audience. If you are going to approach a traditional publisher for your book, the question of who your target audience is will be one of the first they will ask. They want to ensure that any money they invest will result in an adequate profit margin. I cannot overstate the importance of audience identification in the writing process. If your goal is to write nonfiction books that sell and generate revenue, it makes little sense to jump into a writing project simply because you think that you have a great idea. A key point in selling books is to make sure that you identify your reader audience before you start writing. You need to do thorough market research before you invest time and effort into putting words into a computer or on paper. This will help ensure that your content and the approach you intend to take in communicating it will address the needs, wants and expectations of a large enough target audience. Failure to do this can lead to wasted time, effort and money and not make the venture worthwhile. Desire to learn more about a topic or event. Help in solving a problem. Opportunity to increase the reader’s personal body of knowledge related to a given subject area. Expectation that readers can improve their professional knowledge or skills in order to perform at a higher level. Assistance in identifying a list of ideas or resources that will aid in a project. Create a writing plan. As an author, one of my primary goals is to write nonfiction books that sell in order to generate a primary income stream. That means developing a vision and having a designated result in mind before I start each book. Like a road trip that you might take in life, you should also have a map or plan to get to your writing destination. In order to provide content that your readers want, you have to start with the basics. That means developing an outline of what the book will include. I generally draft out a working title, which typically changes several times as I move toward content completion. I also jot down tentative chapter headers and potential sub-headers and develop a working synopsis for each area. This skeletal outline will be used as a basis for my content research later. It also helps keep me on task because I refer back to it periodically as I write. One thing that I learned early in my writing career is that my outline is a guide and not a final document. There are many times during the writing process, when additional ideas come to mind. Often, additional research prompts a thought of content that needs to be added, updated or changed. Also, when I do an initial read for editing, points that I need to add, change or clarify usually come to mind. A fellow author once shared a useful book outlining technique with me years ago. Once she creates her working outline, she puts the chapter titles and sub-headers on sticky notes and posts them in order on her office wall. As she writes and moves through her manuscript, if she realizes a sub-header works better under a different chapter heading, she simply relocates it on the wall. Similarly, if she decides to change a header or sub-header, she simply writes a replacement sticky note and throws the original away. This technique easily keeps her writing progress and flow visual for her. These four phases of my writing process show you how I write nonfiction books that sell. In part two of the article, I’ll share additional strategies for creating a profitable nonfiction book. You can also search this site for more articles on nonfiction book writing. They provide tips and techniques for creating, marketing, and publicizing you creations. They also share ways to build your essential author platform. 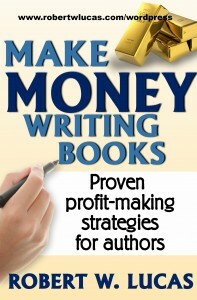 If you want more ideas on that topic, check out How to Make Money Writing Books: Proven Profit Making Strategies for Authors. This entry was posted in Book writing strategies, making money as an author, nonfiction book writing, Nonfiction writing tips and tagged make money writing nonfiction books, nonfiction book writing, writing nonfiction books. Bookmark the permalink.